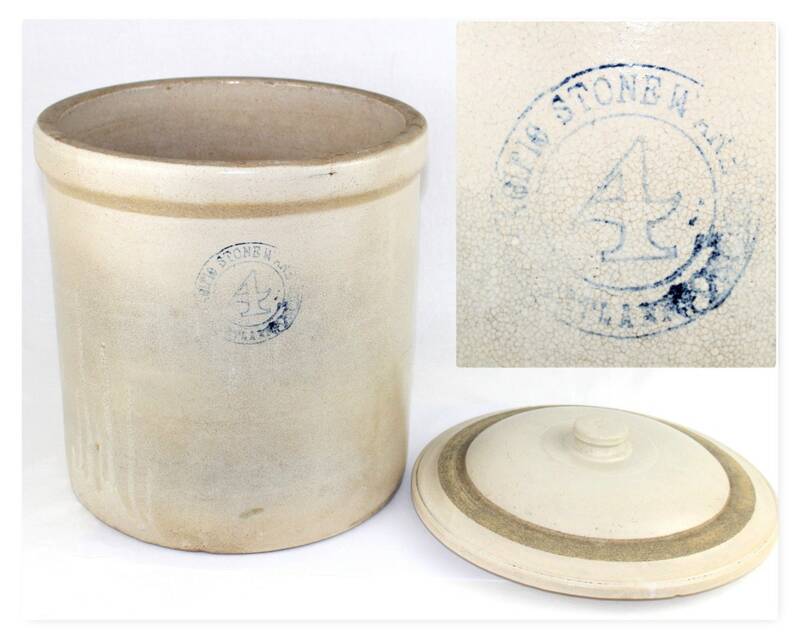 We have for sale an Antique Four Gallon Stoneware Crock with Lid. 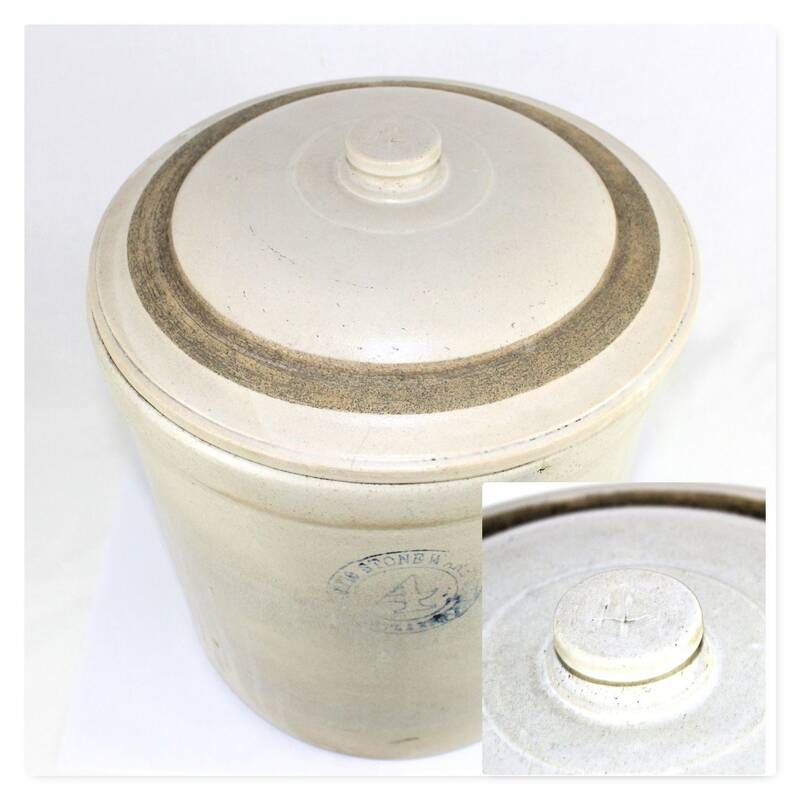 Wonderful Antique Stoneware Crock made by the Pacific Stoneware Company, Portland Oregon. 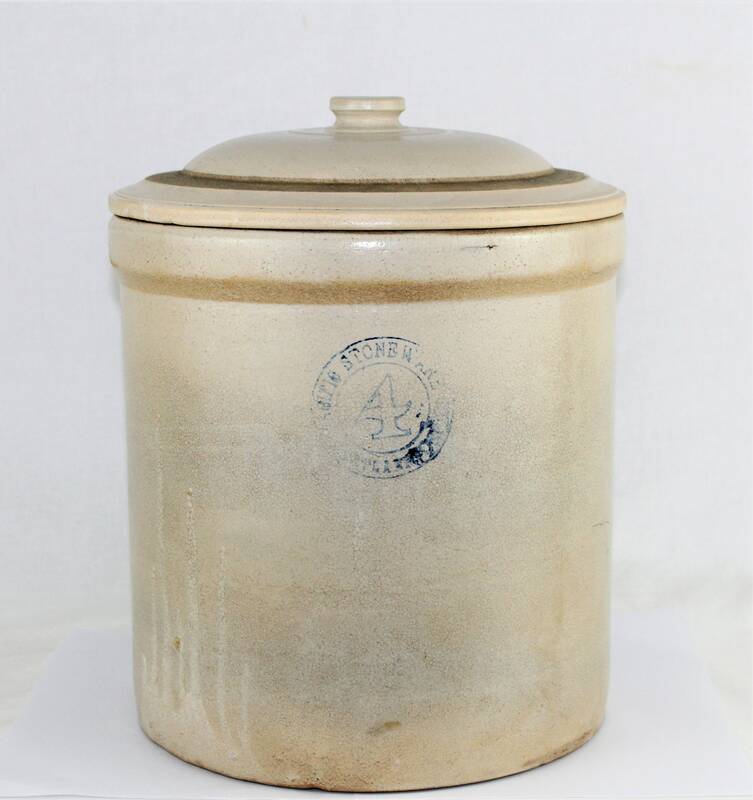 This highly collectible crock is a hard to find piece it is a four-gallon crock with matching lid dating pre-1920. 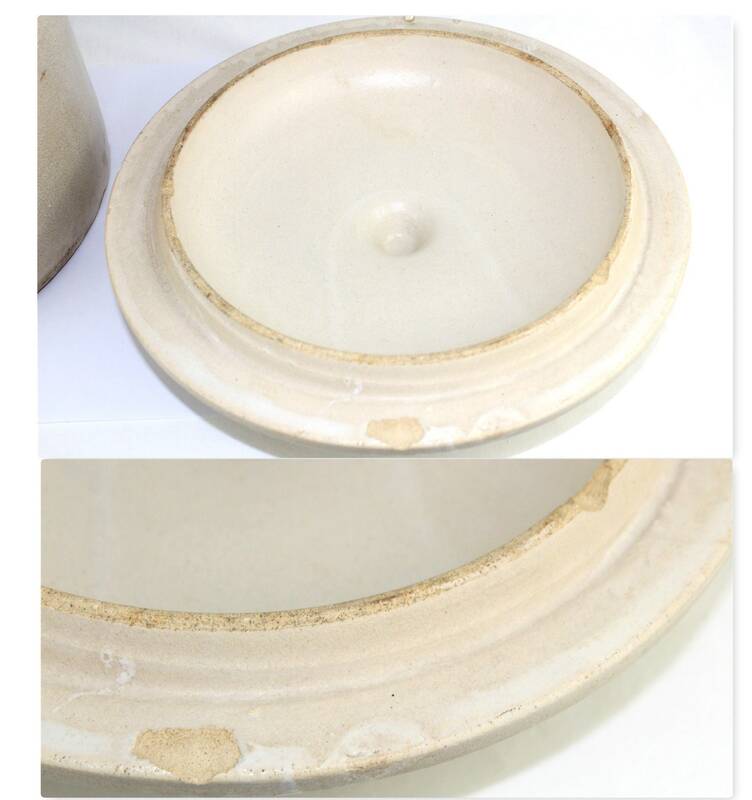 I was excited to find this piece Its not often you find a crock with the lid. 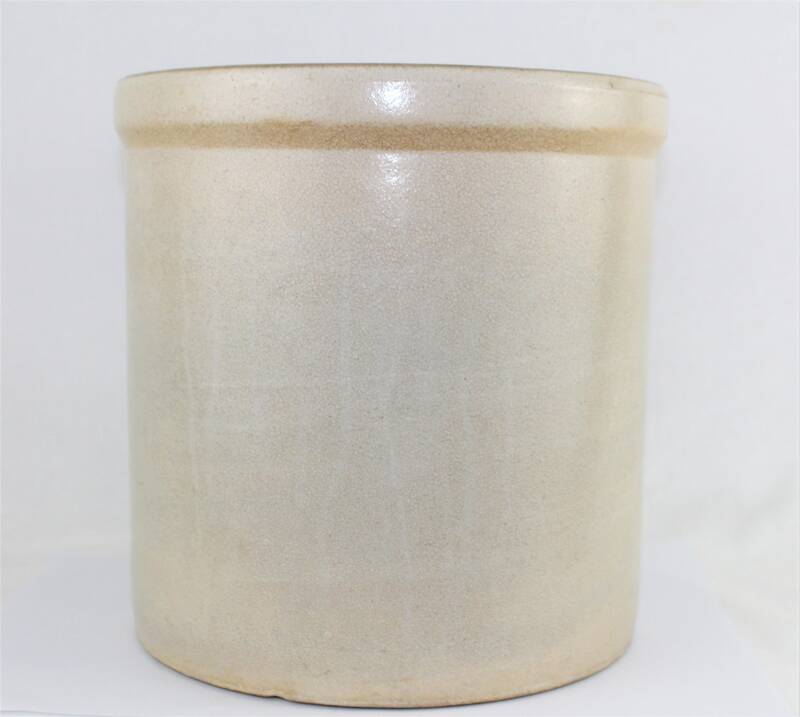 The crock is in wonderful condition with lots of natural patina, where are no cracks it does have some unique glazing flaws. 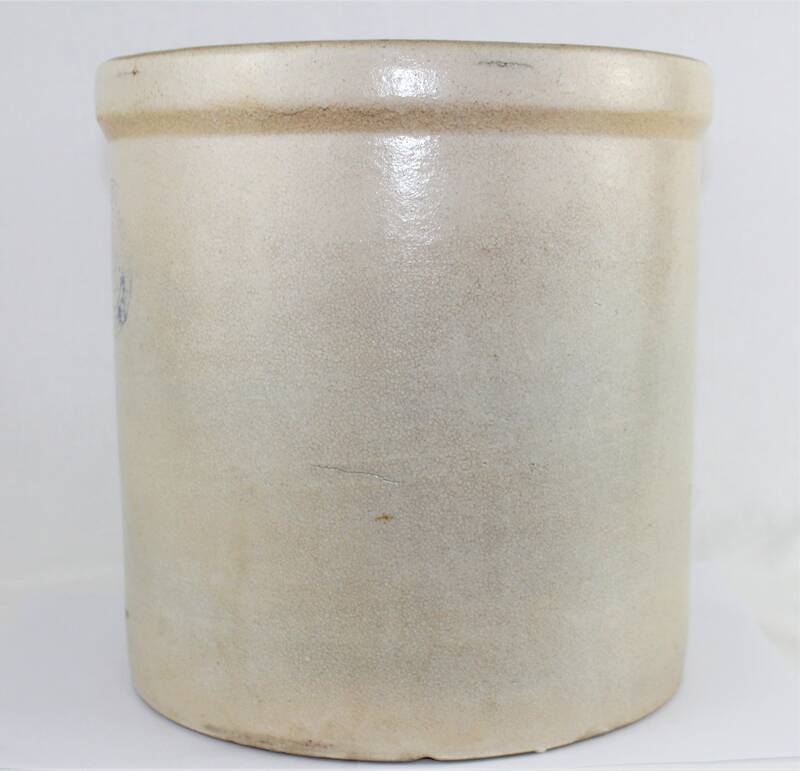 Condition is very good the blue label is a little light as shown, the crock is weathered with nice patina and shows some glazing flaws no chips or cracks, the lid is solid with a couple inner rim chips and hairline cracks. 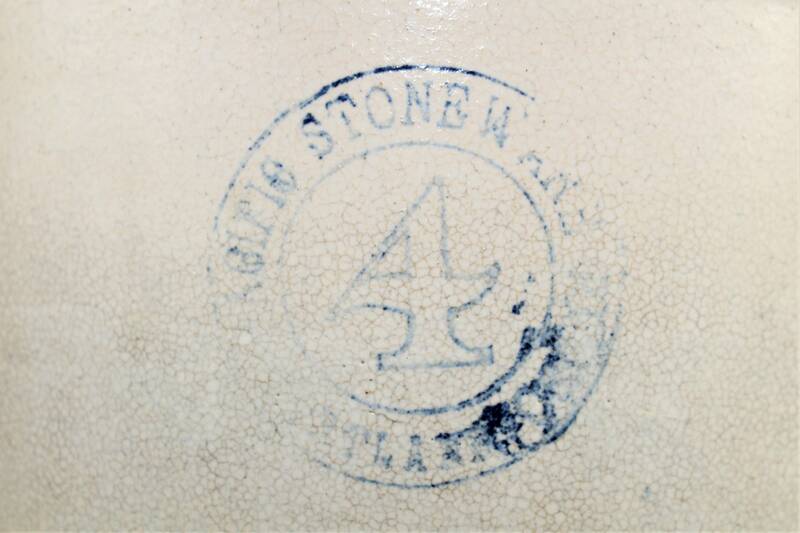 The Pacific Stoneware Company was Located at 687 Sherlock Avenue Portland OR. 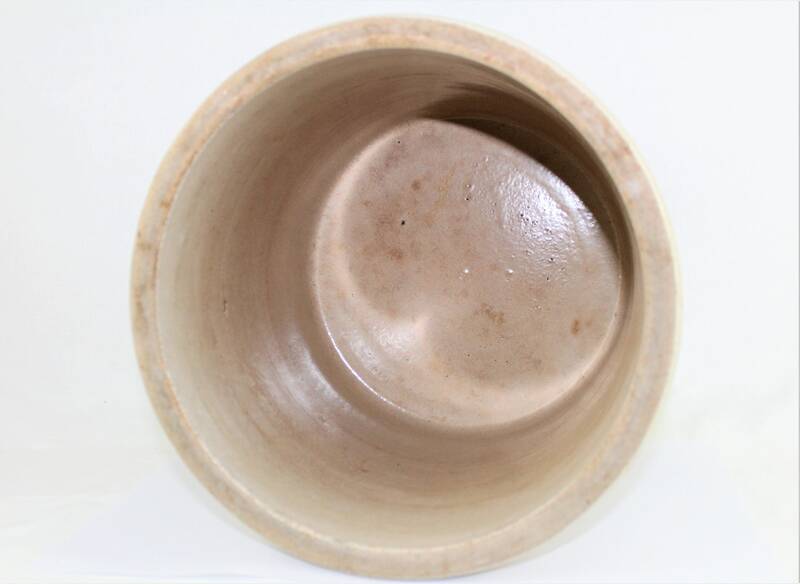 Starting in 1890 the company produced ceramic and stoneware items. The company was originally the Pacific Pottery Co but in 1909, the business reincorporated as Pacific Stoneware. The company was open for 103 years and closed in December 1986. 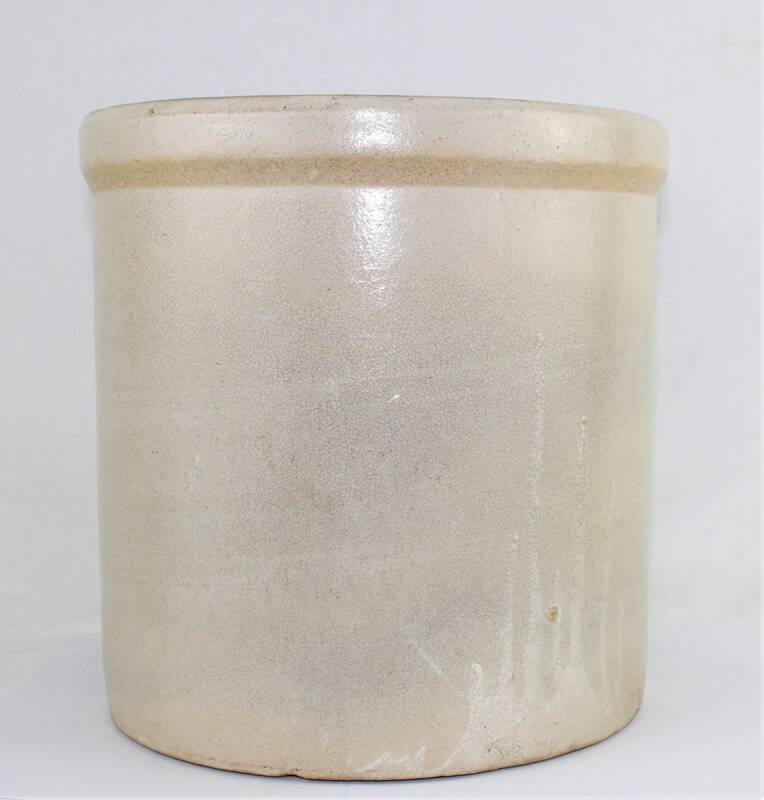 Measures; 11” diameter at base, 11 ½” diameter at rim, 12” height without lid, 14 ¼” height with lid. Condition: Vintage with lots of patina, as described above. 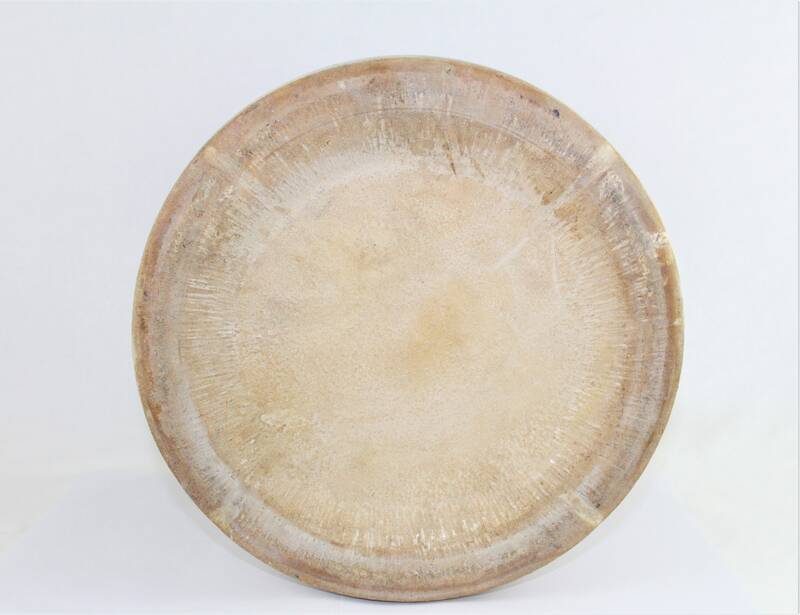 To see more of our wonderful Antique and Vintage Pottery & Stoneware items please click the link below.